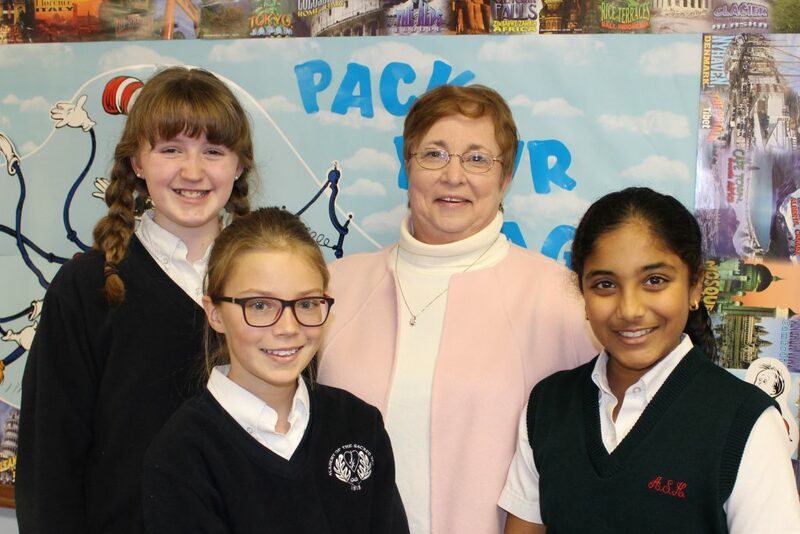 After calling numerous places in the United States “home” and teaching grades K-6 in public school districts, creating curriculum and directing a day care facility, Joanne and her family arrived in St. Charles. Planning to stay only five years, the Budnys searched for academic excellence and found it for their children at the Academy. Joanne joined her daughters soon after their enrollment and she has enjoyed the opportunity to participate at the Academy in many roles as parent and teacher. In addition, a community of “kids who like to act up” became apparent to Joanne. First and Fourth Class plays led to a theater club, “Stagestruck” for fourth-eighth graders and a speech team known as “Encore.” Both of these extracurricular activities allowed Joanne time to coach students whose talents and interest were on the stage. Halloween and spring performances, as well as speech meets, were springboards for many students pursuing similar activities in high school. Always encouraged to experiment with new approaches and initiate programs by administrators, Joanne piloted a global studies program for Lower and Middle School. The curriculum continues today and prepares students for living in a global world while developing an awareness of people, their cultures and beliefs. Joanne is presently working with the middle schoolers who are delving into issues confronting our world daily. As former Director of Student Life for Girls, Joanne facilitated an advisory program for middle schoolers and now, as Coordinator of Student Activities, she is the Student Council moderator and responsible for Spirit Team activities and the Middle School service program, “Footsteps of Philippine.” Engaging students in service has been the most rewarding for Joanne. All Middle School students interact and serve numerous community groups. Preschoolers, the elderly, economically disadvantaged, physically and mentally challenged are communities Academy students build relationships with throughout their Academy lives. Some Academy graduates have remarked that service at ASH has sparked career choices and lives of service. The Academy’s mission, “to educate and inspire the heart and mind of each child to become a courageous and confident leader who knows and loves God and reveals that love” is the privilege that Joanne feels has also been offered to her during her 25 fulfilling years at the Academy. Joanne holds a B.S. in human development from the University of Massachusetts and a master’s in curriculum and instruction from Penn State University.